New Economic And Environmental Opportunities! An international conference began in Yaounde to specifically address the use of bamboos and rotan in the fabrication not only of furniture, but also of several handy goods that make life very easy for many. A recent study indicates that the bamboo economy can generate billions of CFA francs. Moreover, the presence of the Director General of the International Network for for Bamboo and Rattan, Hans Friederich in Cameroon for this meeting cannot be an innocent event! In fact, it is said that as much as some 1600 products can be obtained from bamboos or rattan alone and the world trade on this neglected raw material can fetch as much as 60 Billion US Dollars, a sum sum almost unpronounciable in CFA; but which is, by far, higher than all what what the banana trade fetches across he world. 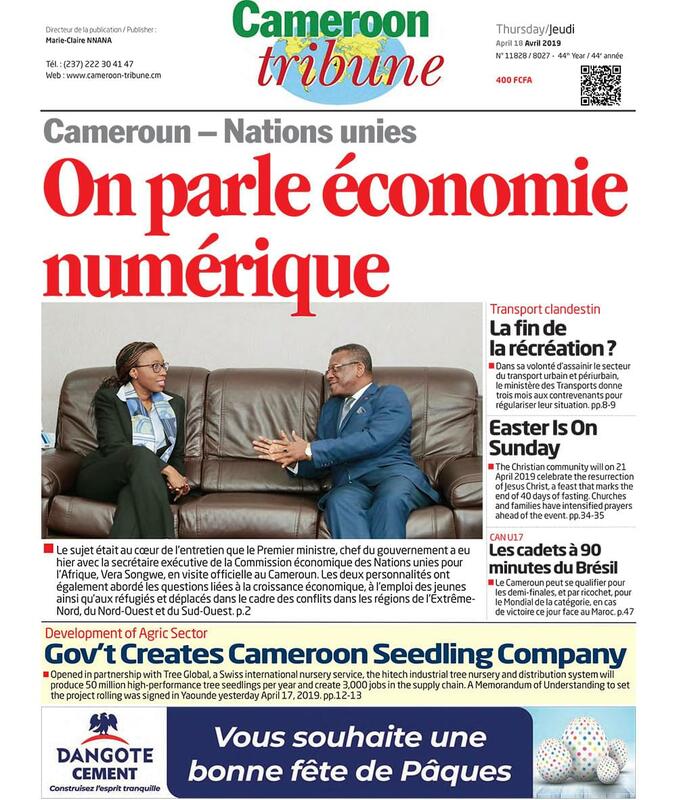 Very often, Cameroonians express reservations about such discoveries and often hesitate to take advantage of the numerous advantages such discoveries can bring into the economy by way of jobs and the opening of new avenues for the creation of riches. Our local artisans are yet to be fully informed of all of these new possibilities and one expects that sooner, rather than later, the artisans we see at the Mvog-Mbi neighbourhood in Yaounde and in the Mboppi area of Douala should be able to take full advantage of th new possibilities offered so as to improve their lot and get into the international marketing system so as to obtain the best benefits. We are on the good foot. Since 2010 some 200 Cameroonians have been trained within the framework of a special programme with the Peoples Republic of China with the view of taking possession of all that is needed to improve on quality and quantity. Many Cameroonians are therefore aware of all the positive effects of promoting the use of bamboo and rattan to the extent that one expects a radical change in attitudes with all he artisans working on these important raw materials be it at Mvog-Mbi or in Douala. The importance of the rational exploitation of this God-given raw material also goes beyond the economic factors such as the reduction of poverty and the provision of jobs. As it has also been stated, the growing of bamboos and rattan is also expected to have wide-ranging positive effects on environmental management because of the regulatory effect the growing of these plants have not only on planet change but also on pressing environmental questions not least of which is the necessity to manage eroding slopes with the planting of bamboos. The advantages of integrating the generalized use of bamboos and rattan are therefore very important in addressing the urgent economic and environmental problems the country is currently facing.